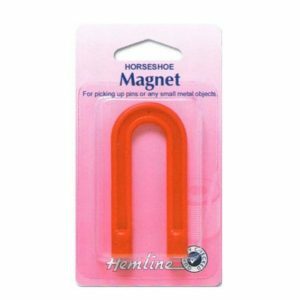 Horseshoe Magnet. 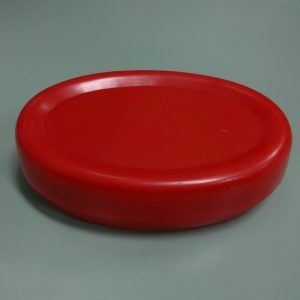 An essential tool for picking up dropped pins, fasteners and needles. Can be used to differentiate between brass and steel pins. 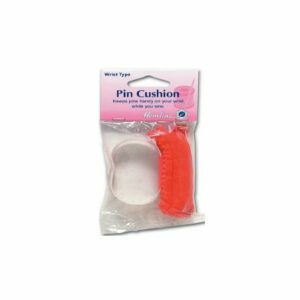 Wrist Pin Cushion. Comfortable – fits all wrist sizes. Strap slips around wrist. Specially useful when fitting or cutting out patterns. Keeps pins handy on your wrist as you sew. 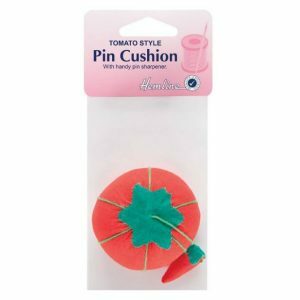 Tomato Pin Cushion. Attached Strawberry Sharpener removes rust and smooths pin surface for improved performance.